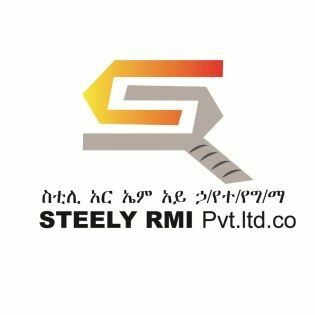 Steely RMI PLC is a private company engaged in steel manufacturing industry in Ethiopia. We produce and supply reinforcement bars, nails and wire rods to the Ethiopian market. The factory is located East of Addis Ababa in Oromia National Regional State, Bishouftu town (also known as Debre Zeyit). The sales office is located in Akaki-Kality subcity, Near Kality NOC gas station. The plant is equipped with advanced technology. It applies PLC (Programmable logic control), CCM (continuous casting machine) and full automatic cooling bed to produce high quality product at competitive price. Plant A: 120,000 metric tons of grade 40 steel bar and wire rods per year. Plant B: 150,000 metric tons of grade 60 steel bar and wire rods per year. The major raw materials of the factory are scrap and billets. Grade: Grade 40 and Grade 60. Special features: High strength, superior weldability and bending properties, better elongation, excellent corrosion and fire resistance. We always care for safety and quality. We offer competitive price and fast delivery.